Circulating Now welcomes guest blogger Dawn Hunter, Associate Professor, School of Visual Art and Design, University of South Carolina and Fulbright España Senior Research Fellow at the Instituto Cajal in Madrid, Spain. Her new body of work is a suite of biographical drawings and paintings about Santiago Ramón y Cajal, the father of modern neuroscience. Her series is comprised of creative works and formal investigations of Cajal’s scientific drawings that are currently on display at the John Porter Neuroscience Research Center at the National Institute of Health, Bethesda, MD. The wholly integrated experience of phenomena is powerful. The union of the mind’s curiosity, the heart’s passion, and the body’s senses sing a chorus that reminds us of the wonder of our own existence. The U.S. 2017 solar eclipse was that experience for many. However, it was also predictable. Sitting on the front steps of my home in South Carolina, steeped in the avalanche of media coverage, I experienced the path of totality only with my mind; my brain perfectly primed with expectations. The forecast sound bites focused the quality of celestial delivery, and by doing so reduced the universe to a branded experience. It may sound like I am complaining, but I am not. The obstacle of mediated experience served as a reminder to value those encounters when I experience the extraordinary, nonaligned, for myself. While ignorance is not bliss, on rare occasions, it can be a blessing—allowing new, unexpected experience of phenomena to rival the first time one bit into a luscious strawberry or walked across hot sand. Encountering Santiago Ramón y Cajal’s scientific drawings of the nervous system for the first time was one such extraordinary experience for me. I am an artist, and I draw every day. It is how I know and understand the world. One day back in 2012, I was looking up neuroscience terminology to supplement an article I was reading on the claustrum, I stumbled across Cajal’s scientific drawings. In the midst of trawling visuals on the web, I was swept away within “gesturely expressive” cellular images drawn in implied space. I was dwarfed and transported into Cajal’s microscopic world. Other neuroscience drawings were in the image cache, like those of Camillo Golgi. However, I was not as taken with them, because Golgi’s illustrations were surrounded by a border that created closure and containment and possessed a topographical mannerism. Based on those visual qualities, I felt Golgi’s drawings were “designed,” and that construction revealed a particular point of view regarding the role of drawing in his work: that drawing was a vehicle to guide, transcribe, and organize nature in a manner that demonstrated a theory. Instead of creating drawing from a designer’s perspective, Cajal’s work in comparison is drawn with a type of perceptual observation, one in which the inherent design of nature is discovered through sighting. Drawing was a tool to observe, discern and recount microanatomy structure. Cajal’s drawings are filled with actual lines and drawn with implied space. I believe they demonstrate a philosophy that he was at the service of nature—recording and reporting the truthfulness of sight’s journey. Intrigued and invigorated, I felt an urgent need to learn more. I pursued my interest in Cajal without any foreknowledge of his monumental identity within modern neuroscience. I quickly learned the basics: Santiago Ramón y Cajal (May 1, 1852 – October 17, 1934) was a Spanish histologist and the first person to demonstrate that the nervous system was made up of individual units (neurons) that were independent of one another but linked together at points of functional contact called synapses. Cajal was a 1906 Nobel Laureate in Physiology or Medicine awarded jointly to another neuroscientist, Camillo Golgi “in recognition of their work on the structure of the nervous system,” however, their research was mutually exclusive and embraced opposing theses. Cajal used and later refined a silver staining technique developed initially by Golgi to see the structure of neurons. He illustrated the results of his studies with elegant drawings of the neurons that he proposed worked independently or collectively, each individual unit participating simultaneously in individual or multiple neuron functions. 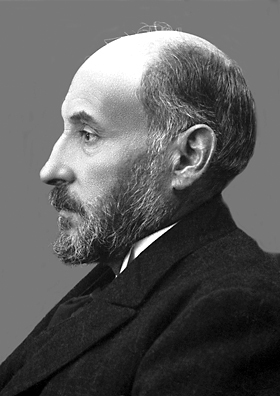 Santiago Ramón y Cajal is considered by many to be the father of modern neuroscience. From the beginning, Cajal has made me laugh because I began “knowing him” by reading his science fiction writing, Vacation Stories, published under the pseudonym, Dr. Bacteria. Anyone with that pseudonym has a great sense of humor, right? It framed my perception of the Vacation Stories as sublimation for personal and professional frustrations while being intentionally campy. Cajal’s psychological complexity revealed itself when I read his memoir Recollections of My Life. As I perceive it, the autobiography was written with unguarded honesty, and the breadth of content he shared about himself and his research captivated me. I was particularly struck at times with his humor. Like the devotion of three highly descriptive paragraphs letting the reader know that not only was he very physically fit and muscular in his bodybuilding “selfie” photo published in the book shot at age nineteen, but that in real life he was bigger and more defined than the photo captures. His autobiography also touched my heart, especially when he shared the hardships of his boarding school days and the level to which his particular learning style was misunderstood. Cajal, an experience based learner, was unable to conform to the educational standards and had great difficulty learning from the method that required memorization and repetition of large amounts of information. He was rebellious, and his teachers were intolerant and unleashed extreme and harsh punishments that were physical and psychological assaults. 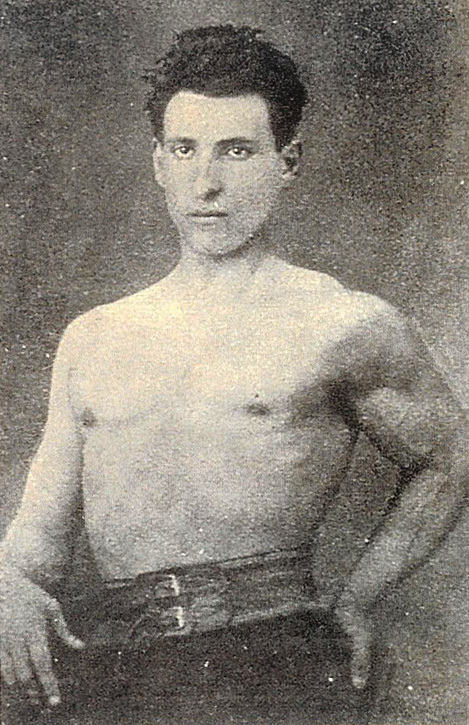 Childhood hardships did not diminish Cajal’s innate pioneering spirit, a temperament that may have been spurred by a formative experience at the age of eight. On July 18, 1860, Cajal witnessed the totality of a solar eclipse and the excitement surrounding Warren de la Rue’s arrival in Spain to record the moment of totality for the first time in history with photography. The occasion inspired a lifelong appreciation of astronomy in Cajal. Many have speculated over the years that this was the seminal event that planted the seeds of his scientific rigor. The eclipse totality dwarfed Cajal in the universe and provided a new context for his existence. Judging from the intensity, directness, and wonder of his drawings, it was a context he never left. By proxy, with those seeds firmly sewn in me, my fascination has grown into a comprehensive visual art project about him titled “Aesthetic Instincts: the Intersection of Art and Science in the life of Santiago Ramón y Cajal.” I have developed theses about him and inform my project with primary source material. As a Fulbright España Senior Research Fellow at the Instituto Cajal in Madrid, Spain, I am currently researching the archives of the Legacy of Cajal. After I read his autobiography, Recollections of My Life a part of me that felt like some key aspects of Cajal (his humor, and how he imagined himself—particularly in his youth) were absent from the mainstream discourse patterns about him. I view my drawings and paintings as educational tools that address art, history, and neuroscience and that splice and fuse his animated neurons, with representations of biographical elements, fictional narratives, and surrealism. My artwork highlights his personality traits and his private value system essential to his unique scientific insight that led to his great discovery: that the nervous system is comprised of individual, independent biological units, i.e. neurons. Because of his complexity as a person and scientist, getting to know Cajal requires investment. Those who take the time are often, like me, completely enthralled, enchanted and transformed by the phenomenological journey.